This year alone, more than 9 million Americans will experience infertility. Infertility is big business–it’s a 3 billion dollar a year industry that includes synthetic hormones, harmful interventions, and often extended emotional timeframes for families. The expense and stress of infertility along with side-effects of treatments are driving health trends to discover natural alternatives. Using functional integrative medicine, I always start with assessing the root cause of chronic conditions. To start, find a facility that can screen you for inflammatory and autoimmune conditions as well as hormonal imbalance and micronutrient deficiencies. You also want to immediately remove the primary inflammatory foods from your diet including gluten, soy, refined sugar, and corn. Emphasize a diet that is low-glycemic focused with many whole, single ingredient foods. 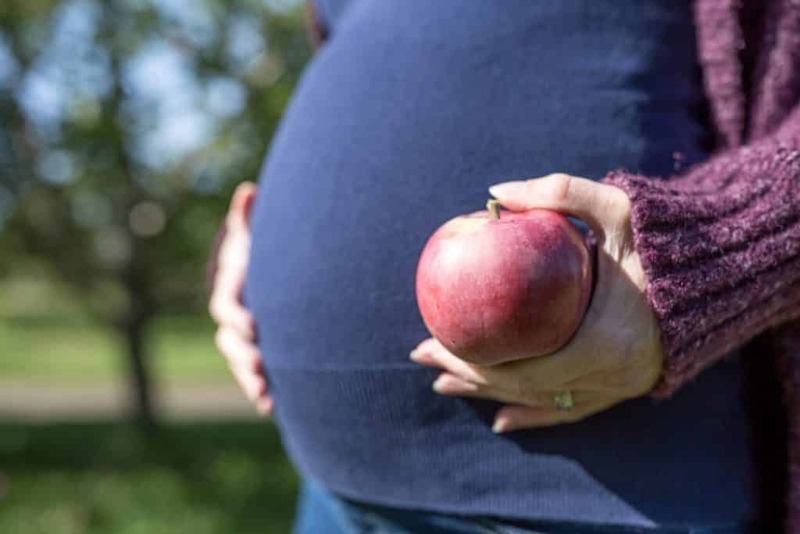 I also recommend organic sourced ingredients, as the role of glycophosphate residue from pesticides and chemical fertilizers has a strong correlation with infertility. FOCUS ON THESE 5 FOODS TO BOOST YOUR FERTILITY! This essential B vitamin plays a role in DNA and RNA production while supporting healthy fetal brain development, preventing neural tube defects and miscarriage. Birth control and synthetic estrogen deplete B vitamins. Another primary contributor to leaching B’s out of your system is a diet high in refined carbohydrates and sugar! Getting foods rich in B-vitamins can support healthy estrogen metabolism, cellular health, and energy production. They also help to support a healthy weight and optimal response with insulin levels. Read this Liver Pills blog for an easy recipe! These omega-3 fatty acids reduce inflammation, making the uterus a more welcoming environment. while aiding in hormonal expression. Flax seeds also can help to detoxify excess estrogen through their lignans, which can aid in removal of excess estrogen, allowing healthy hormonal balance. This mineral plays a role in PCOS-driving elevated insulin and imbalanced testosterone expression. Zinc also plays a role in fat metabolism and, ultimately, vitamin A status. This can lead to low antioxidant status, causing inflammation and unsuccessful fertilization or birth defects. Maca stimulates the pituitary gland which stimulates human growth hormone, oxytocin, and progesterone production. Progesterone aids in healthy implantation of the fertilized egg and provides support for healthy placental production to prevent miscarriage. Maca also aids in healthy libido which can make the fertility process a lot more fun and remove the forced mechanical feel that can often dampen the process! Quality Prenatal: a sound multivitamin is an important foundation for optimizing fertility and supporting healthy fetal development. Look for a product that is free of dyes, fillers, and is 3rd party assessed for purity. I also recommend ensuring your multivitamin has methylated B-vitamins; this is important as about 40% of the population have a genetic mutation where they are not able to process synthetic folate. A good quality methylated form will be listed as 5-Methyltetrahydrofolate (also known as Nature Folate) and B-12 will be listed as methylcobalamin. Choline is another nutrient to look for in a quality multivitamin; it aids with fetal brain development and fertility. Quality Fish Oil: omega-3 fatty acids are essential for healthy fetal brain development and to maintain an anti-inflammatory state in the maternal body, allowing for successful fertility and implantation. Look for a product that is 3rd party assessed for PCBs, mercury, toxins, and purity. Aim for at least 1 gram of EPA/DHA, some patients with high inflammatory markers may require a higher dosage. Note: fish oil is a natural blood thinner and if taking a therapeutic dosage of 2g or higher, this will need to be reduced about 10 days prior to giving birth to avoid hemorrhage. Maca: this Peruvian root has long been acknowledged for its role in boosting libido and fertility in both women and men. It tonifies the pituitary gland in the brain which is often imbalanced from stress response leading to decreased progesterone production. Bioidentical progesterone: is often needed with infertility. This needs to be prescribed via consultation with your doctor following hormonal assessment. 1. Blend water with almonds, maca, and crushed ice for 30 seconds until smooth. 2. Then add dates, avocado, cacao, and flax seeds. 3. Once mixed, whip in grass-fed whey protein for about 5 seconds just to incorporate, but not froth! Ali is a registered dietitian (RD), certified diabetes educator (CDE), certified weight management specialist, and therapeutic lifestyle healthcare practitioner. Integrative dietitian and founder of Naturally Nourished, a functional medicine private practice. Author of Naturally Nourished: Food-as-Medicine for Optimal Health cookbook and Reset, Restore, Renew: Real Food Detox program.